If Plan A does not work, there are 25 more letters in the English alphabet. That’s the motto that the co-founder of Helical IT Solutions, Nikhilesh Tiwari lives by. Third time turned out to be the charm for him and his co-founder Nitin Sahu. Nikhilesh’s first two attempts, unfortunately did not go as expected as they could not get the necessary traction or as the idea did not click. There are many who are not even able to figure out what exactly they want to do with their lives by the age of 27. Nikhilesh Tiwari is certainly not one of them. By the time he turned 27, he has been part of two failed start-up attempts and a successful third one. An Engineer and a management graduate by qualification, Nikhilesh and his partner Nitin Sahu (also an MBA) started Helical IT Solutions, an Open Source Data Warehousing and Business Intelligence solutions company. They have already created a solid base with 12 clients and also raised an initial round of seed funding in just 7 months since the inception of their venture. Along with a dynamic team of 14 at Helical IT Solutions, Nikhilesh has surely created a dent in the Data Warehousing and Business Intelligence (DWBI) universe. They have made it big, all within a span of a year. They dived in full time in Nov 2012, with almost no money spent on marketing! Helical IT provides business intelligence, data warehousing, data visualization, data modelling and business intelligence using social media tools. Helical’s BI can be accessed on mobile, can be implemented on SaaS, accessed via web browser & also can be seamlessely integrated on users softwares or website as well. It connects different data sources and provides relevant reports, dashboard, graphs, charts etc to the key decision makers, which will help them make the right choices for growth of their company. It has catered to technology needs of clients in various domains including e-commerce, insurance, energy, social media analytics, healthcare and human resource while building and managing their Business Intelligence platforms. They have also developed a Social Business Intelligence platform. It is currently used by many Fortune 500 clients like Microsoft, Nokia, Samsung, BMW, Canon! Within 7 months of starting operations, they had raised funding from Singapore based Citibank official to the tune of INR 25 Lakh. They have served more than 13 clients in different domain including social media, e-commerce, HR, healthcare, Energy and much more. They were so overbooked, that they had to say ‘No’ to many big clients like Jabong.com, Deliveryhero, Inspiredge IT solutions and Magnaquest. And interestingly, the team is yet to spend their first dollar on marketing. Unlike many other startups trying to create a buzz through a lot of Paid Marketing, Helical IT solutions has spent almost nothing on marketing, relying completely on word of mouth and recommendations from current and past clients and also by utilizing social media platforms like Facebook, Twitter, LinkedIn and Quora. 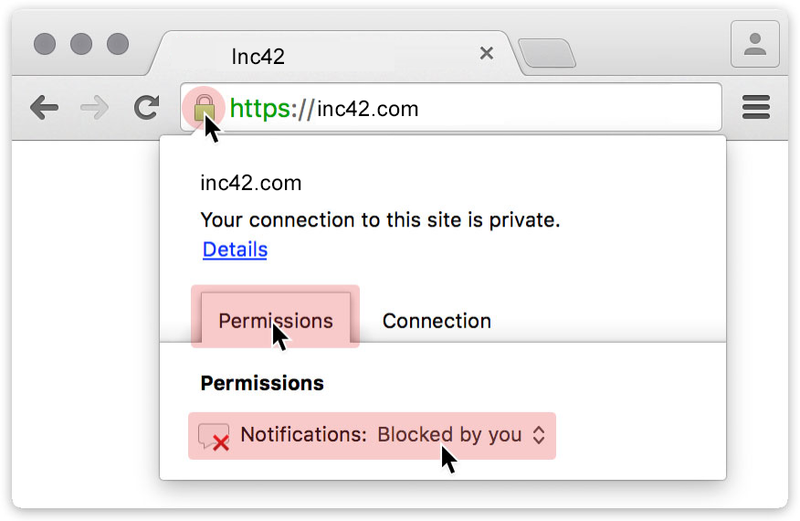 Inc42: You currently have a team of 14. How easy/difficult was it in forming the team? Nikhilesh: A company is as strong as its resources. Being a startup and to add onto that being in a very niche sector, we found it really very very challenging to build a team. There are always apprehension in people/resources mind when it comes to a startup, we have had people who just did not join since we were a small company even though we were ready to offer them the best package in the industry. Also being in a niche sector, this has further aggravated the problem for us. Thus I would say, building a team is the biggest challenge we have faced till date in our one year of journey. Inc42: What made you give a third attempt, so early, at another start-up just after two failed attempts? Nikhilesh: We have always believed that if plan A fails, there are still 25 letters left in the alphabet and we didn’t give up hope. I had always dreamed of being my own boss, making it large and carving out an identity for myself. We did not find the zest working in the corporate world and felt more like one of the spokes in a wheel, doing the same work mundanely every day, with no personal growth or learning. Every company and every individual has his own shares of ups and downs, their own share of success and failure. Keeping that in mind, we took the failures in our stride, learned from the failures and kept moving ahead. Inc42: You had your fair share of downs and ups. Tell us about what you’ve learned from these experiences. 1. Thinking of money right from day one is a very bad strategy; just trying to concentrate on doing good work will result in customers who would stick with you in the journey for a lifetime. 2. We had tried to outsource our selling, but realized that selling is the most important job in a company and is the only revenue point. Hence, for companies and especially start-ups, it’s really important to have a solid sales team and sales strategy. 3. It’s really very very important to have the domain knowledge in which you are starting up; otherwise the probability of facing a failure would be a lot higher. We didn’t have much forehand knowledge of healthcare IT sector and that was one of the biggest reasons of our failure in the same. Inc42: Have you ever fired anyone, till date? If yes, how did it feel? Nikhilesh: Yes, this happened this Oct 2013 only. Because of consistent non performance of an employee we had to fire a resource. It was a very sad moment for us. It takes a lot of time/efforts to build a resource, even if we are hiring a resource from outside, a lot of companies investment goes into that. Hence, firing is a very difficult task for us. It not only makes us sad but also at times it reduces the confidence of the team/disturbs the environment of the company a bit. But never the less I do believe that only A class employees can make an A class company, hence if it’s necessary and unavoidable, then a founder/entrepreneur should not refrain from firing. Inc42: Could you please describe your leadership style in a few words. Nikhilesh: We strongly believe in a coaching style of leadership. We provide a lot of guidance, coaching and training to the individuals so that they are able to maximize their performance. Also, we very strongly believe in giving a lot of freedom to the individuals be it in terms of dressing or holidays or time of entry/exit or anything else. For us, what is of paramount importance is that an employee is happy and is contributing positively to the organization. Inc42: What is your favorite book and/or movie? Nikhilesh: My favorite book is “Loosing My Virginity” – Autobiography of Sir Richard Branson. It is a must read for any entrepreneur/future entrepreneur. It provides in-depth story of his rags to riches journey, successes and failures, lessons learnt etc. It’s a perfect story of how to build a company with a global presence, but no central headquarters, no management hierarchy, and minimal bureaucracy. Inc42: Which inspiring personality past/present would you like to have a dinner conversation with? Why? Nikhilesh: I would love to meet Sir Richard Branson. I am in complete awe of his personality. What set him apart from other accomplished people was he was a first generation entrepreneur, he was able to do exceedingly well in many different and diverse sectors and most importantly he still takes out time and indulges in his passions like adventure sports. He is one person who definitely knows how to enjoy life. Inc42: Any message or advice that you’d like to send out to budding and peer entrepreneurs? Nikhilesh: My advice for young entrepreneurs is never to think about making money right from the first day, just think about creating value for your customers. If you are doing so, then you will never be short of clients and money. This is based on real life experiences of ours at Helical IT. If you would like to get in touch with Helical IT Solutions you can do so at their email – [email protected]. Can Indian Fintech Startups And Banks Move From Competition To Collaboration? The 12 Founders Of Housing: Where Are They Now?